Well you may (or may not, depends if you are my stalker or not!) know that I recently went on a very interesting trip to London. Whilst there I finally got the chance to visit Westfield, the humongous shopping centre in London – for those in the North, Westfield is the London answer to The Trafford Centre!! 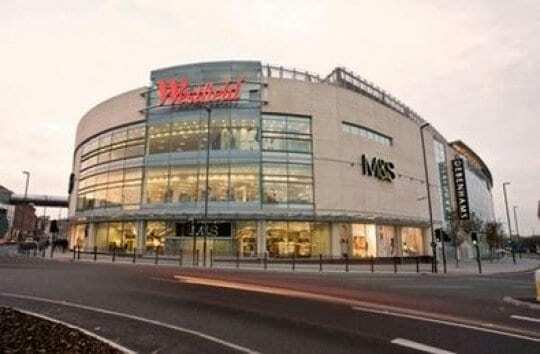 Greeted by the staple fashion chains Debenhams, Next and Topshop, Westfield also features Prada, Calvin Klein and Rigby and Peller. There really is something for every bank balance and taste! Now it has been a while since I graced Starbuck’s with my presence, when did they start writing people’s names on the cups?! What on Earth are they expecting? Coffee Wars in the middle of a shopping centre – fisticuffs over Soya Latte?? 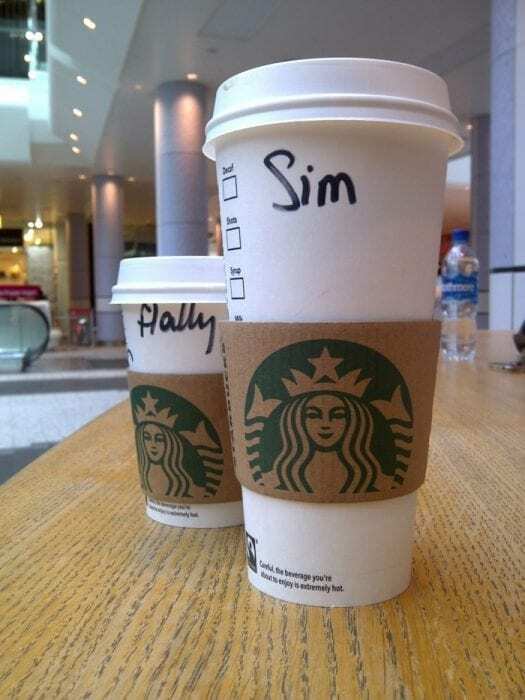 After several attempts at my saying my name I gave in and said “Sim”, Hayley on the other hand had a full change of identity… so what I actually came away with from that shopping trip… if your name has more than 3 letters, you are buggered in Starbucks and could be waiting a while for your drink! School Gate Politics… The Only Time Adults Return To School! Plumbing… Another Item On The Home Improvement List! Lol I’m really tempted to try giving them my name next time I’m there and see how they’ll write my name! Absolutely!! I think I am now going to go in with a really random name the next time I do go in! I can see the logic but what if you get 3 x Dave’s altogether LOL!